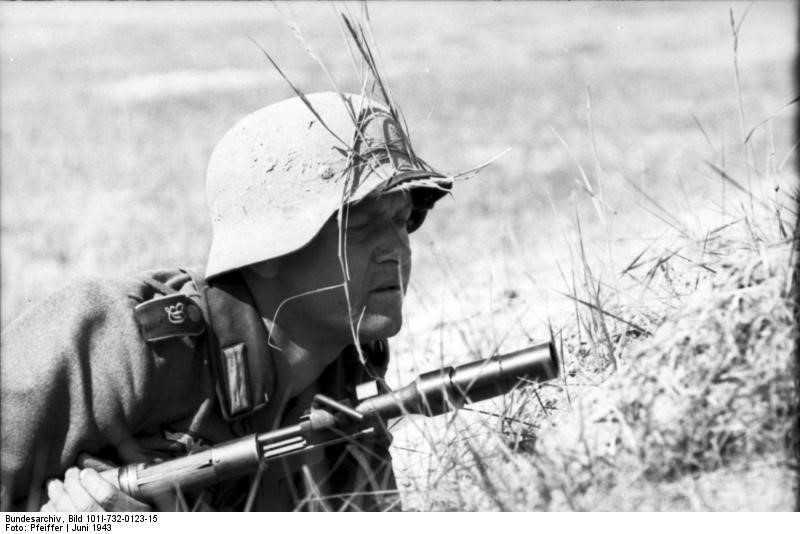 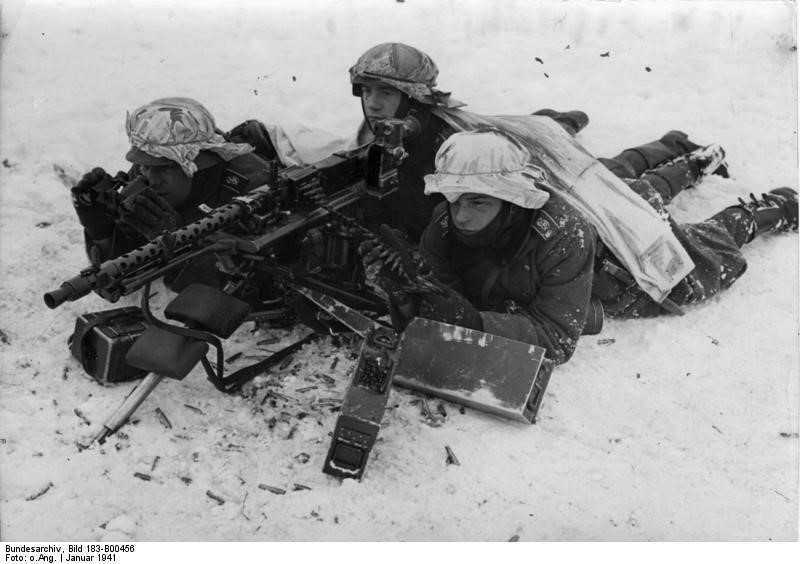 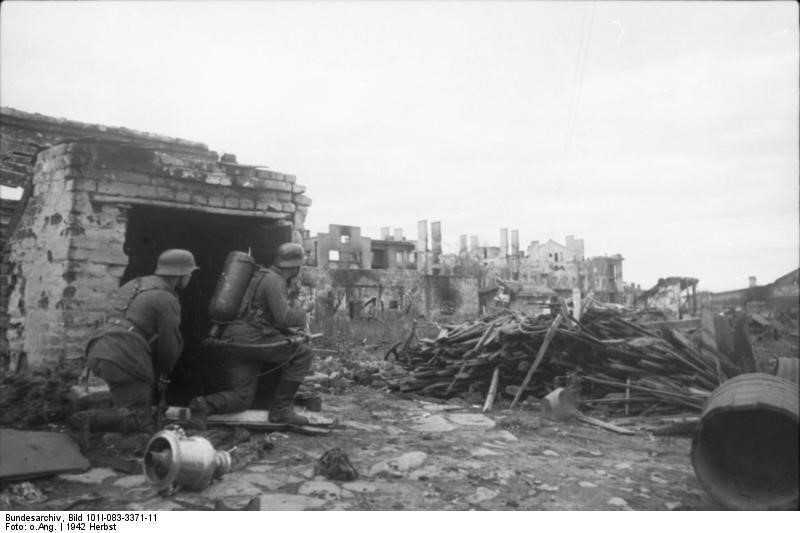 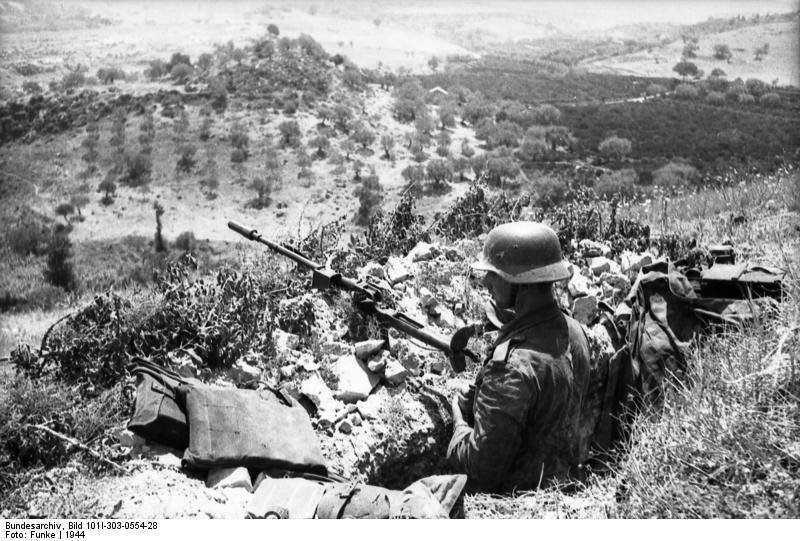 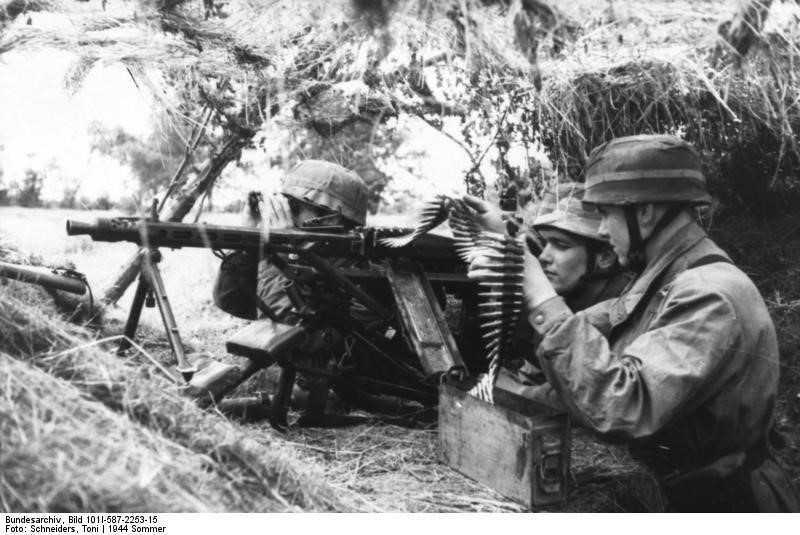 The German army equipped all its infantry units with the K98k rifle and this along with MG34 machine gun formed the backbone of the infantry companies. 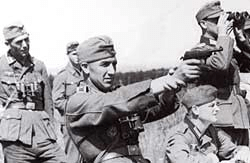 Officers were issued with Walther pistols as were support weapon crews. 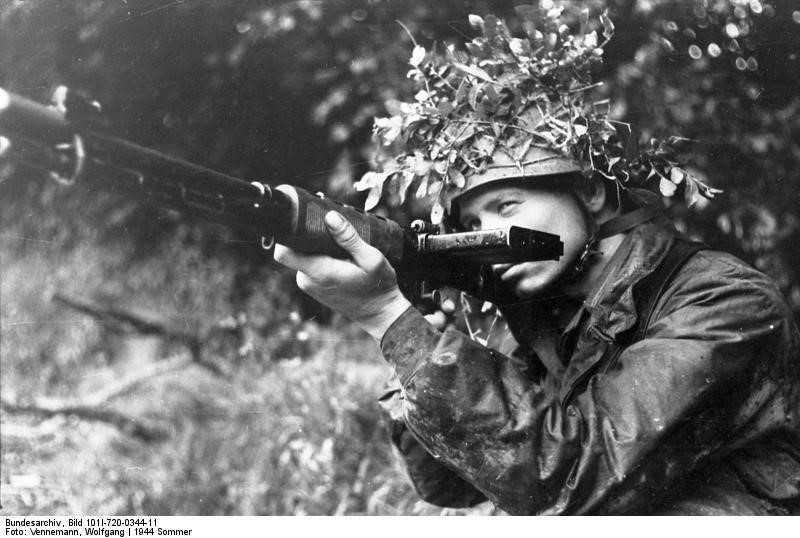 Early in the war NCOs usually carried a rifle but by 1940 these were gradually replaced by the MP38 or MP40. 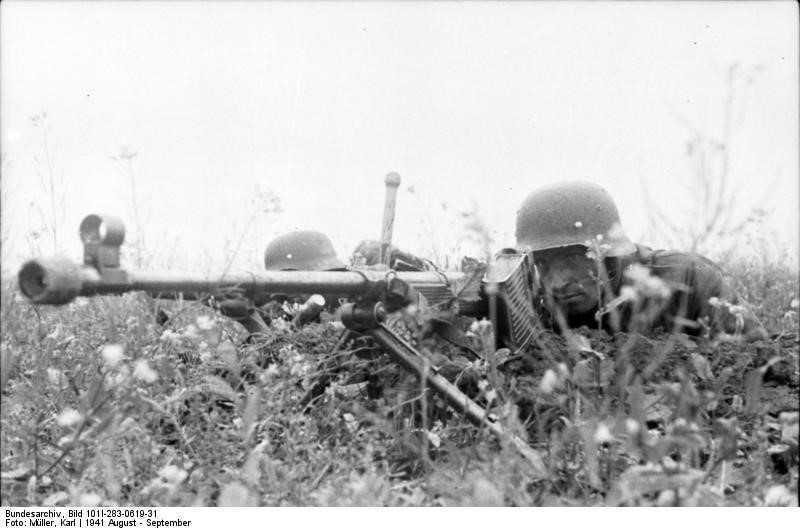 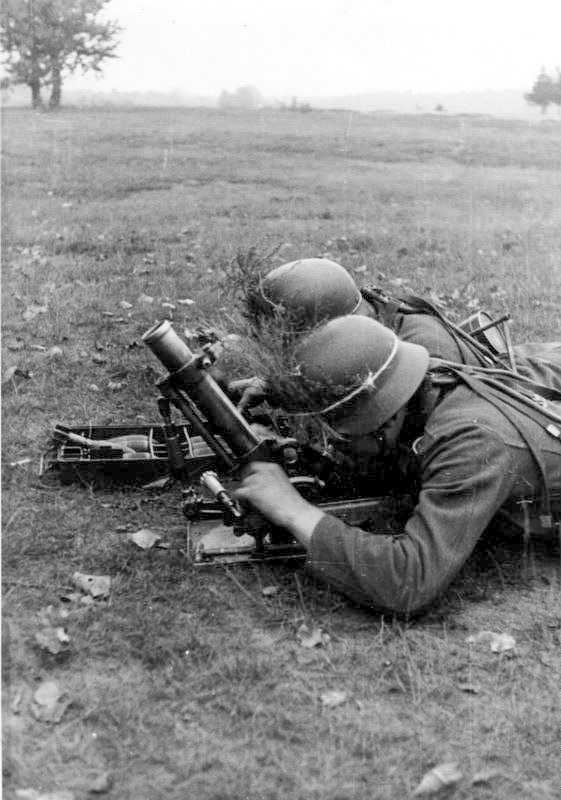 The standard machine gun was the MG34 and this could be used as a squad weapon (Bi-pod mount) or as a medium machine gun (Tri-pod mount). 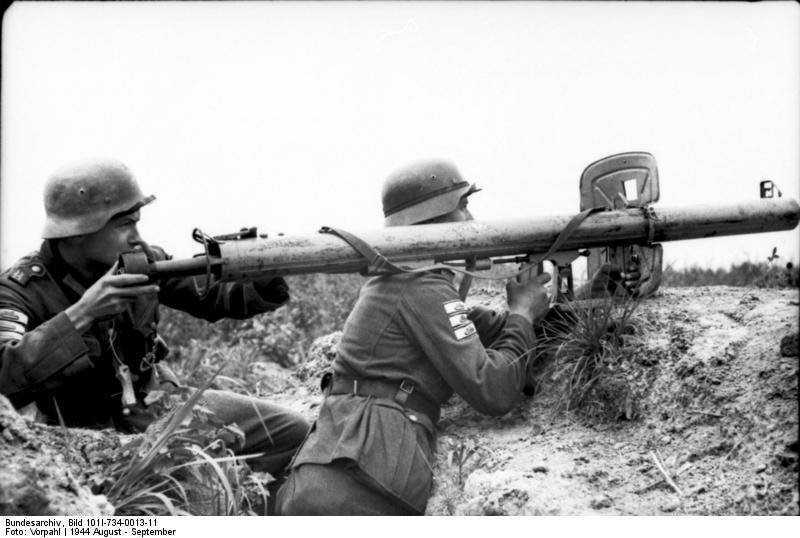 By 1942 the excellent MG42 began to be issued and this could also be used in the light or medium role. 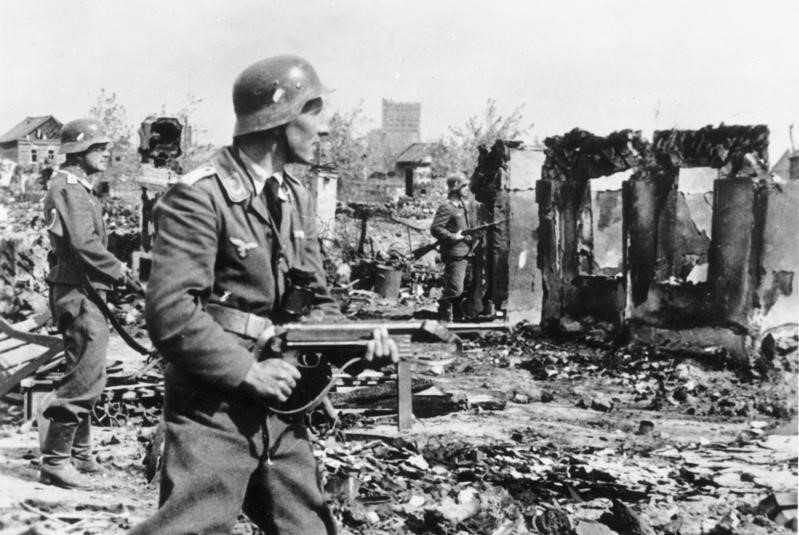 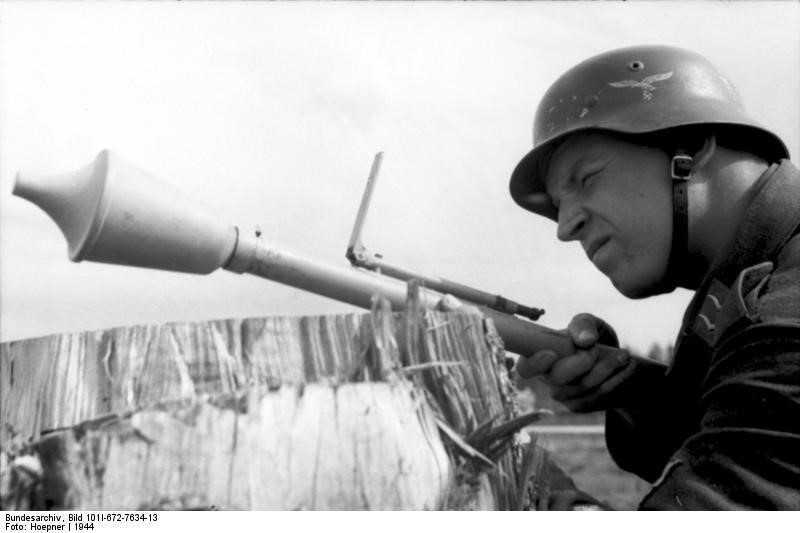 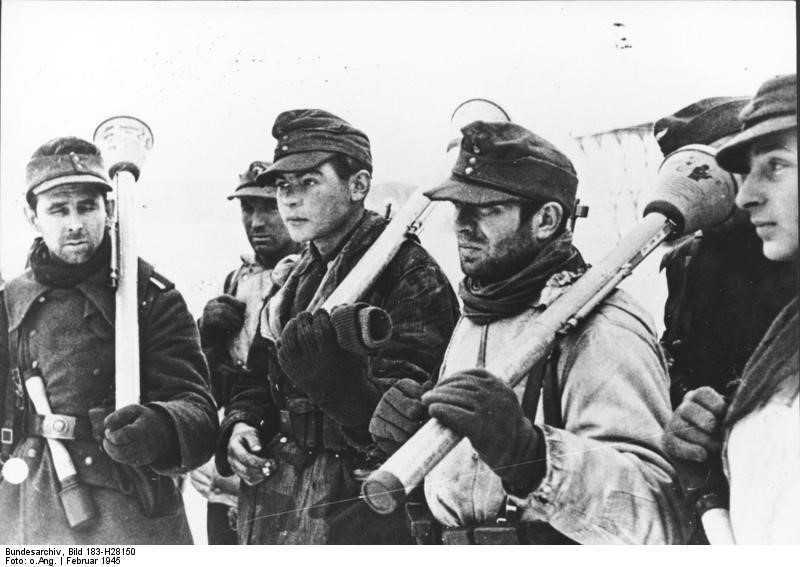 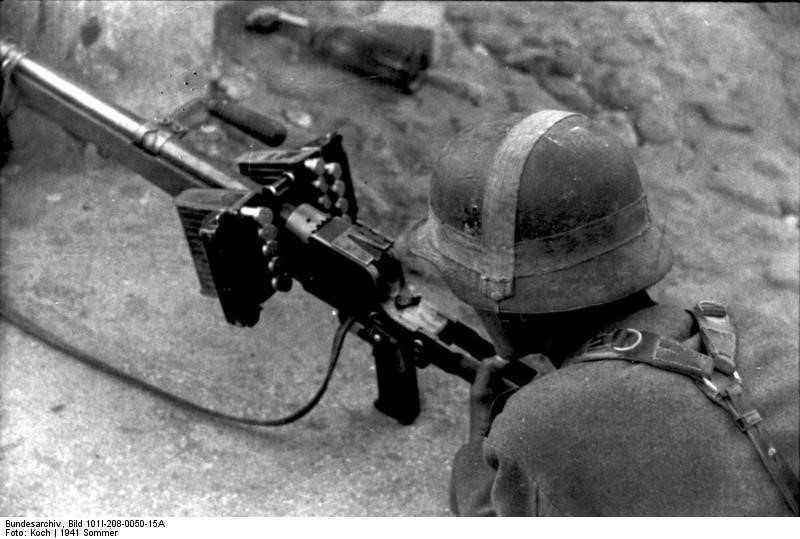 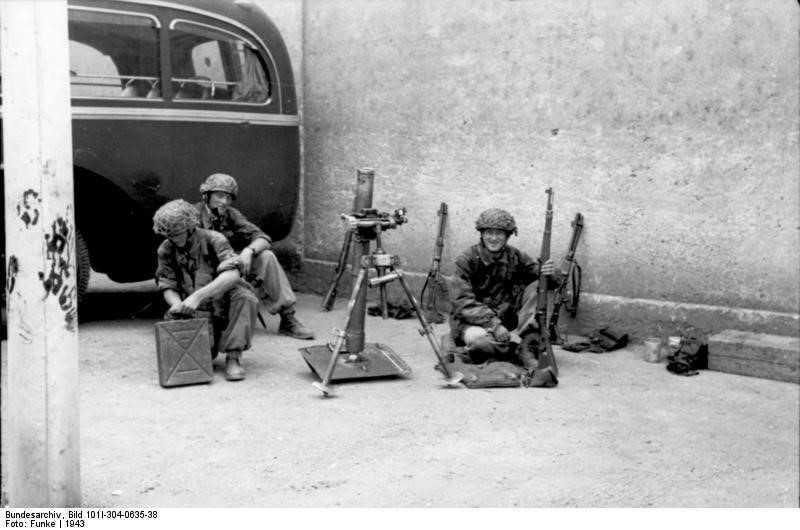 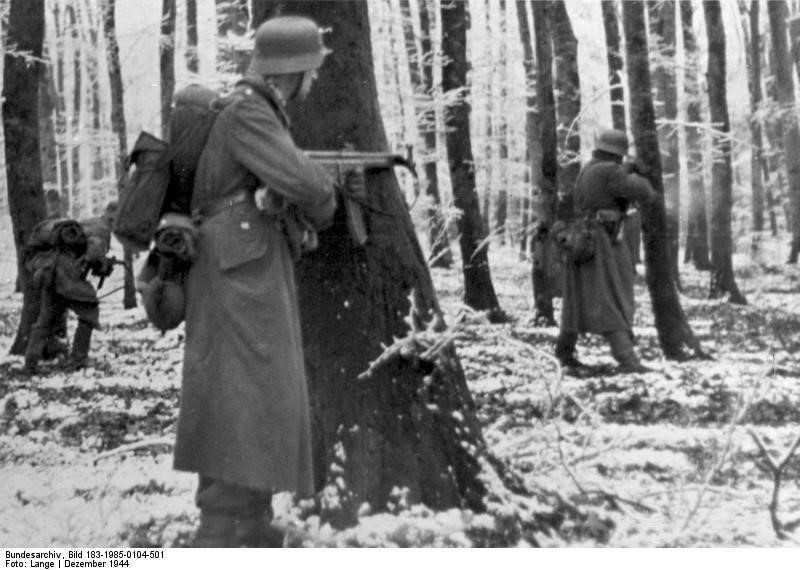 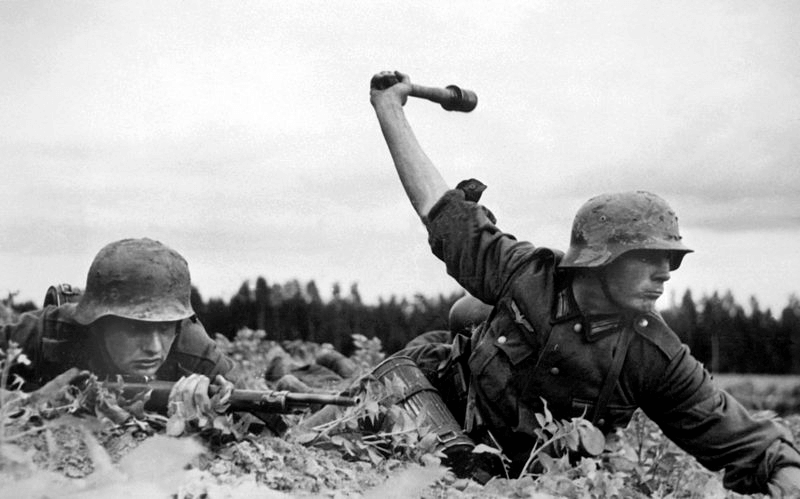 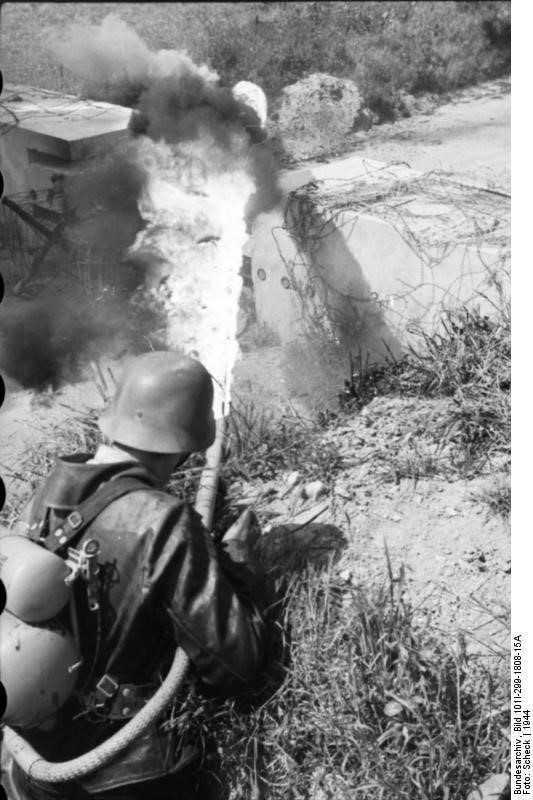 Fallschirmjäger units were equipped with the FG-42, which was more like an automatic rifle then a light machine gun. 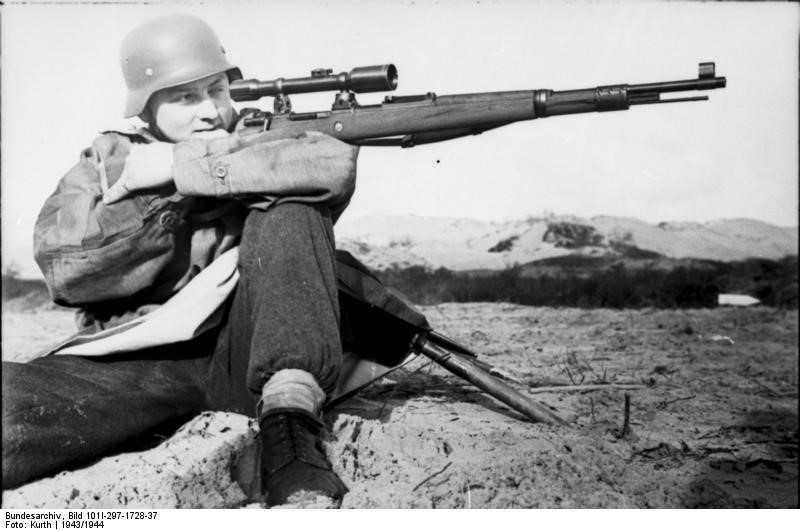 Late in 1943 the new Sturmgewehr 44 was developed as an assault rifle and was issued in limited numbers to the newly formed Volksgrenadier divisions. 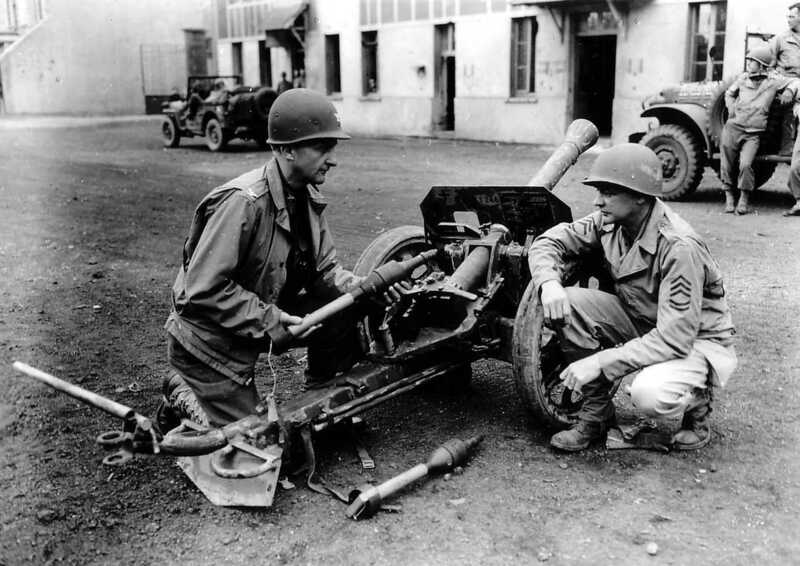 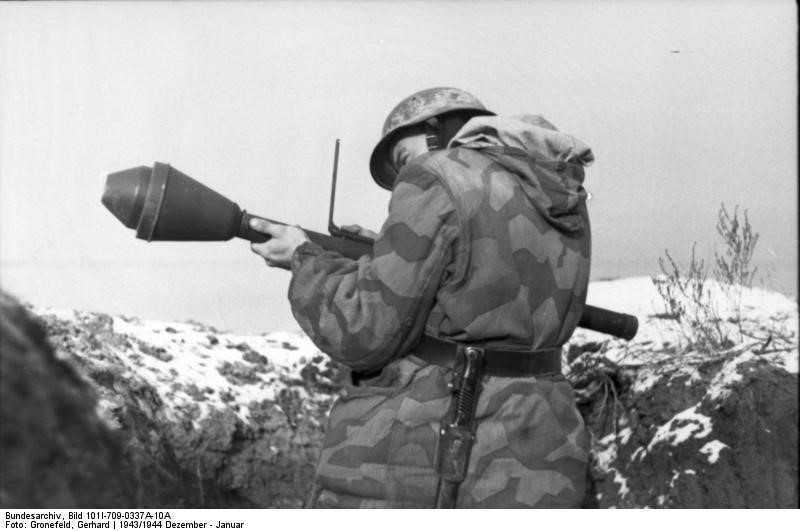 The standard platoon mortar was the 50mm le.GrW with the heavier 80mm GrW 34 kept at battalion level. 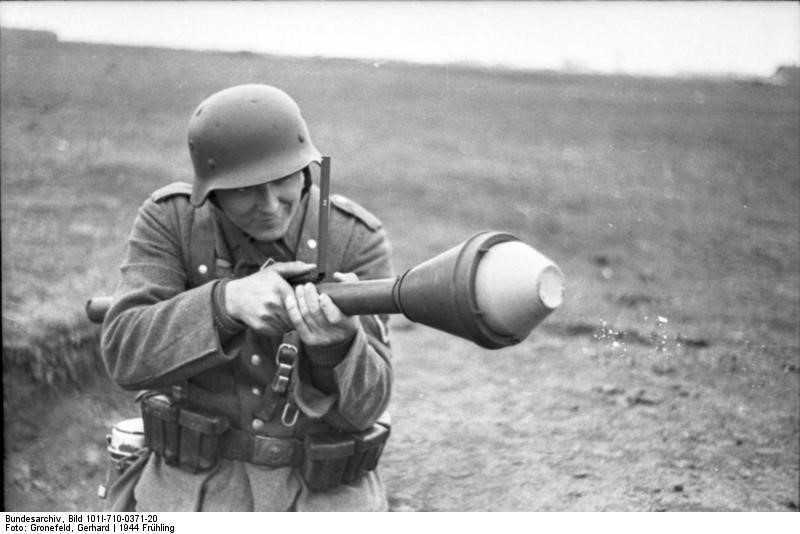 A lighter version designed for Fallschirmjaeger units was adopted as the 80mm GrW 42. 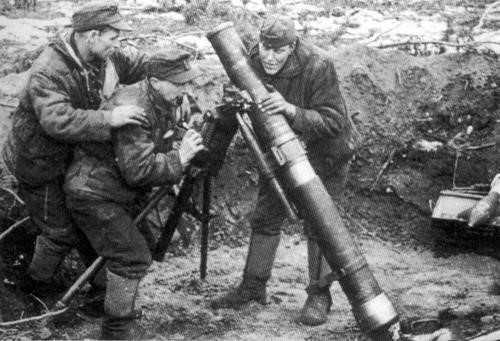 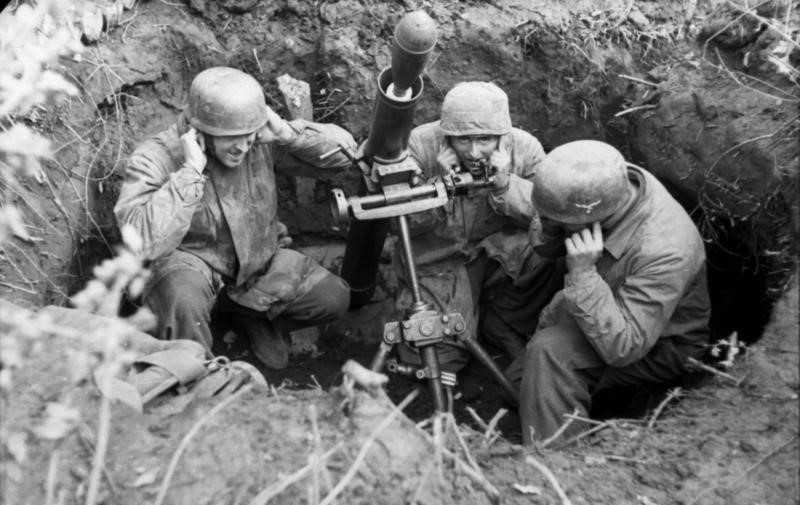 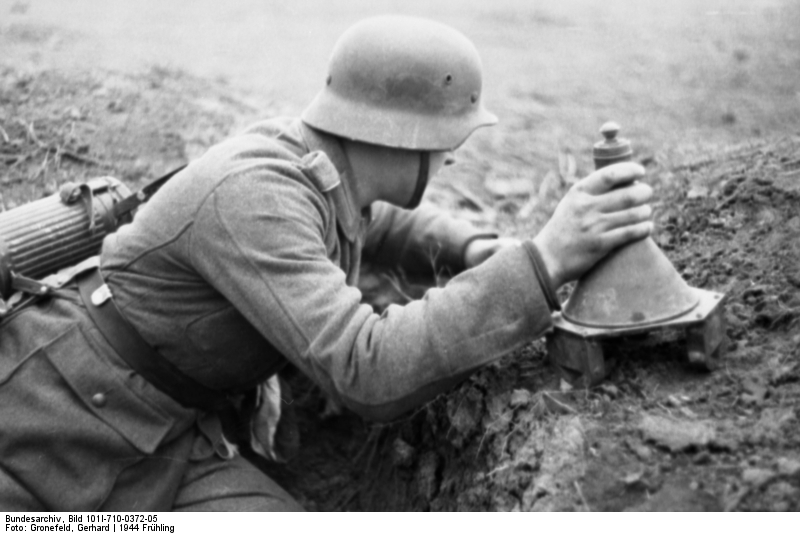 By mid-war 120mm mortars began to be issued at regimental level, the Germans were impressed with Soviet heavy mortars so they developed their own 120mm GrW 42.